#1. Make sure your Nocking Loop is installed correctly. (A) Make sure the loop is not pinching the nock too much while at full draw. A way to test this is to draw the bow back, arrow nocked, with no arrowhead on the arrow. If the arrow rises off the arrowrest (assuming you are not using a whisker biscuit or hostage arrowrest), then nock pinch will result in the arrow rising a bit off the arrowrest. If the arrow isn't staying on the arrowrest, then the nock is being pinched. To fix this, adjust the nocking loop so that the nock has about 1/4 or 1/3 of a mm of extra space. Some people might even give it 0.5 mm. At full draw the extra space disappears. Retest to see if you are getting arrow lift, if it is doing so, repeat the process to give the nock more space until it stops causing arrow lift when at full draw. (B) Check what direction the nocking loop is pointing. It should be pointing straight back away from the bow, but sometimes it could be installed crooked. The "String Torque" of it rotating back to its original position from a drawn position can result in minor fluctuations in accuracy. Sometimes if the loop is really off centre, it might even come in contact with the arrow, which could potentially ruin a shot entirely. There are a variety of names for this, including synchronizing, timing, positioning, and indexing. Whatever you call it, the purpose of synchronization is to make sure the dual-cams on your bow are reaching full draw and let off at the same time. 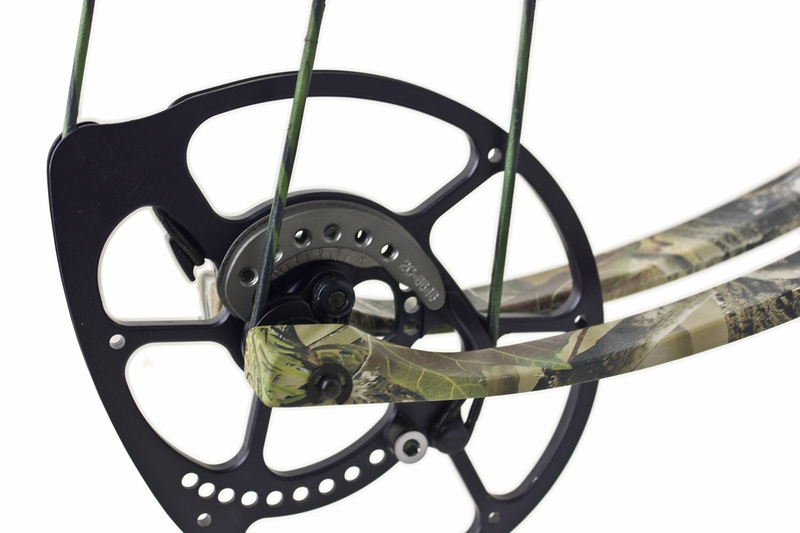 Having both cams synchronized increases speed, accuracy, consistency and the overall "feel" of the compound bow. Once you determine that one cam or the other is out of synch then all you need to do is either lengthen or shorten the cable by either twisting / untwisting the cable to change the lengths. 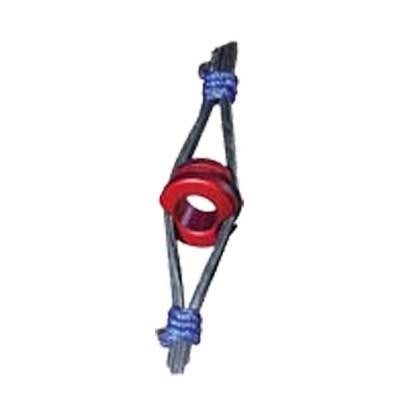 Depending on the model of the bow you can also adjust the length of cable by changing the position of the stopping peg. Note - Adding extra stuff on your bow strings can sometimes drastically change the tautness of the bowstring and effect synchronization, and thus hurt speed and accuracy. Thus any time you add or remove anything from the bow string / cables you should recheck the synchronization to see how it was effected. #3. Make sure your nocks fit the bow string properly. Sometimes people buy arrows with nocks and they are either too tight or too loose on the bow string. Both are bad for accuracy. Too tight means the bow string is pulled forward on the brace height during release. (Too tight also adds string noise by making a louder twang, which for hunting purposes could alert the prey.) Too loose could result in a misfire / the nock slipping off the bow string during a critical juncture. Ideally what you want is a nock that isn't too tight, too loose, allows the bow string to spin freely but without torquing the arrow. If it cannot spin freely when nocked, then it is too tight. If it is so loose that the nock falls off the bow string, it is too loose. When nocking an arrow you should hear a click sound. It should not be a snapping or twang sound. 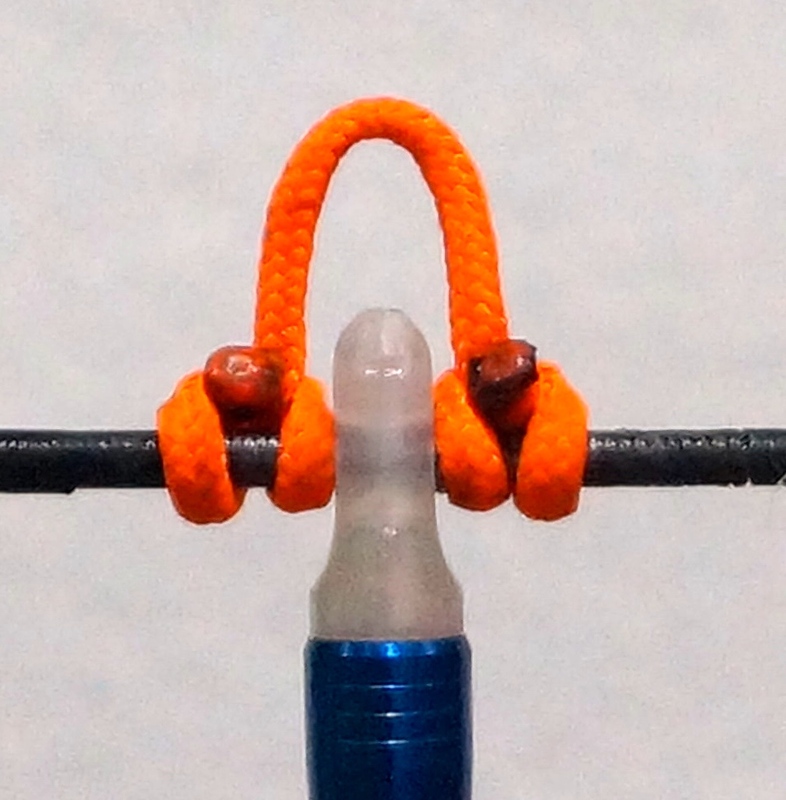 Then roll the string using your fingers and see if the string can move freely within the nocked position. Click and spin. Another way to test for looseness is to nock an arrow, point the bow at the ground and gently tap the string. If the vibrations of the bow string being tapped cause the arrow to slip off and fall to the ground, it is too loose. If your nocks are too tight or too loose you will need to experiment with other nock sizes until you find one that is perfect. Or the reverse is to re-serve the serving on the bowstring and make it slightly thicker or thinner. #4. Make sure your arrow nocks are properly installed. An improperly installed nock can sometimes be the difference between shooting the target and digging broken shards of arrow out of your arm. Hopefully that doesn't happen to you! Such accidents sometimes occur when people are shooting a nock which is broken, damaged, cracked, or my favourite word of the day: Kaputt! But if the latter can be avoided, so can the former - improperly installed nocks. The correct way to install a nock is to wax it first (string wax works great for this) and then slide it into the shaft. Once in, align the nock as desired and it is done. That is it. Wax it and install. The wax acts to make the nock even tighter inside the shaft, and reduces the chances that it will slip out in the future or become crooked due to vibrations. You should also regularly check the status of your nocks for damage and check the alignment. #5. Learn how to do Nock Indexing. The definition of Nock Indexing is simply checking to see how the nock is aligned compared to the arrow fletching vanes. It should probably be called "Nock Fletching Alignment" as that more accurately describes what you are doing. Briefly touched on above, it is simply a matter of aligning your fletching and nocks so that they are in the same position and match your arrowrest when shooting. If you don't do Nock Indexing, your fletching will rub against the arrowrest in different ways and each shot will be slightly different. Note - You also need to make sure that the fletching vanes are not coming in to contact with any cables while being shot. To check for this, draw back the bow for a shot, then go back down slowly to check to see if any cables make contact with the vanes. #6. Reinforce the Peep sight serving. I am a strong believer in this last one. When you buy a compound bow the peep sight is usually installed for you, but the serving around the peep sight (assuming they served it!) can sometimes be loose and move around - which in turn causes the peep sight to move around between shots. To remedy this problem, reinforce the peep sight with extra serving and make sure that sucker isn't moving around on you. Having a peep sight that stays put where it is supposed to be dramatically improves consistency in my opinion. Photo on the Right - The serving above and below that peep sight is too loose in my opinion. Minor movements up and down by even 1 mm will effect the accuracy by about 2 inches at a distance of 20 yards, or dramatically more than that when shooting at 30, 40 or 50 yards. On my bow I reinforced the serving a full cm top and bottom, and tightened it so the peep sight cannot move around at all. Note that reinforcing the peep sight may effect the cam synchronization, so you should always do this first before doing any synchronization. Want to learn more about compound bows and archery? Sign up for compound bow lessons in Toronto.